[Download] Official Samsung Galaxy S5 SM-G900F Android 6.0.1 Marshmallow Firmware. This is the official released android 6.0.1 Marshmallow Firmware update for the Samsung Galaxy SM-G900F. Do not try to install this stock Rom on any other Android device. This is the latest Official Rom available at the moment, you can easily upgrade your phone and start enjoying the android 6.0 features by flashing with Odin if the OTA update is not yet available in your region or you can't wait. This update is an official release packaged for flashing manually with Odin by samsung, so it includes everything: modem, bootloader etc. There's is no errors or booting poblem. The region of the ROM makes no difference. Happy flashing and please let me know how it works. First boot might takes upto 28 minutes sometimes. This is the best method to root the phone. Using this method might trip Knox counter, so make sure your warranty has expired. This will work for any build number and version you have on your samsung phone. It doesn't matter if you are rooted or using a custom rom, you just have to follow the instruction above, download the firmware and flash with odin. No, there is no root needed for this firmware to work thanks. Hi, could you reupload the file to Mega please thanks! Hello there, I'm in Nigeria and my CSC has some "OJV" in it. Will this firmware also work "well" for me? Plus,I think the file on mega is missing. 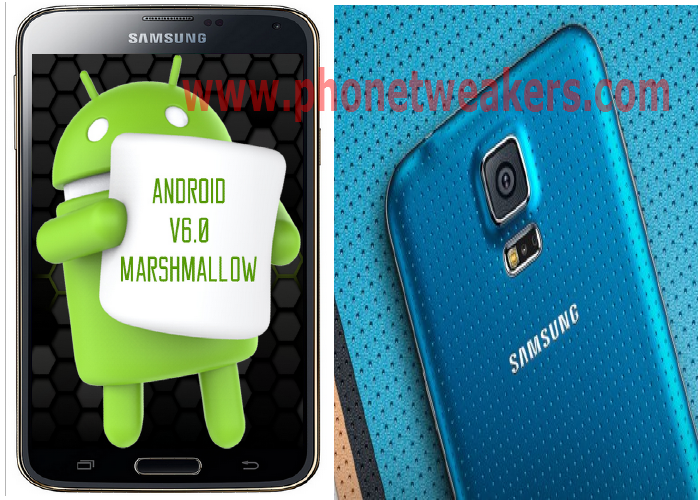 Phonetweakers: [Download] Official Samsung Galaxy S5 SM-G900F Android 6.0.1 Marshmallow Firmware.